Ayoubian A, Tourani S, Hashemi Dehaghi Z. Medical Tourism Attraction of Tehran Hospitals. Int J Travel Med Glob Health. 2013;1(2):95-8. Izadi M, Saadat SH, Hashemidehaghi Z, Ayoubian A. Health tourism in Iran; Identify obstacles for development of this industry. Int J Travel Med Glob Health. 2013;1(2):89-4. 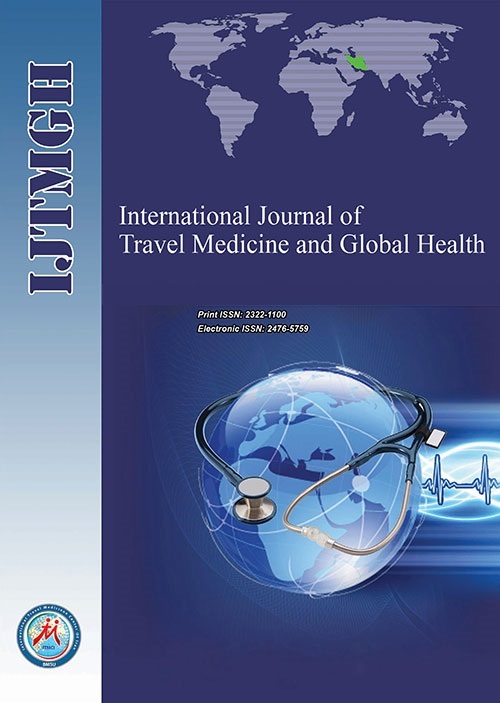 Izadi M, Ayoobian A, Nasiri T, Joneidi N, Fazel M, Hoseinpourfard M. Situation of health tourism in Iran; opportunity or threat. J Mil Med. 2015;14(2):69-75. Jallad A. Environment and Curative Tourism (in Arabic, translated by the author).Alam Al Kutub, 1st edition, Cairo, Egypt, 2000. Hassanzadeh E, Zarghami M, Hassanzadeh Y. Determining the Main Factors in Declining the Urmia Lake Level by Using System Dynamics Modeling. Water Resources Manag. 2011;26(1):129-45. Karbassi A, Bidhendi G, Pejman A, Bidhendi M. Environmental impacts of desalination on the ecology of Lake Urmia. J Great Lakes Res. 2010;36(3):419-24. Meshkini A, Meshkini S. The therapeutic properties of water and mud of Lake Urmia. Iran South Med J. 2001;4(0):72. Arabshahi A, Aria Far M. Medical tourism, health tourism and treatment capabilities in Iran. Quarterly of Geographical Space Tourism. 2013;3(9):133-52. Gafori MR, Mortazavi R, Saberi A. Review weather and mud of Lake Urmia. J Engineering College. 1993;44(0):33-46.